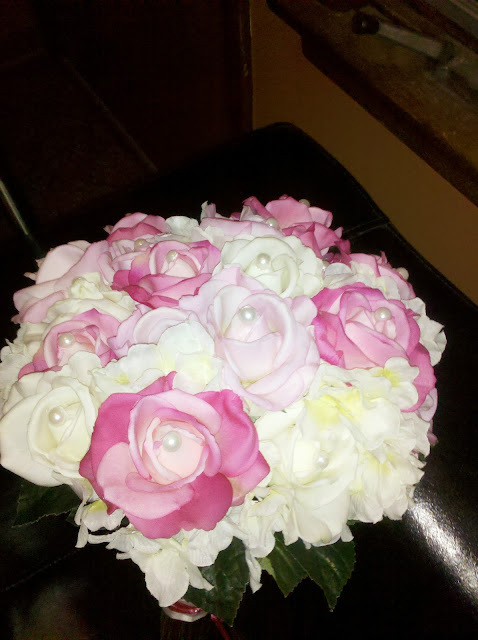 Little Pink Book: Wedding boquet with roses and hydrangeas and fake pearls. Wedding boquet with roses and hydrangeas and fake pearls. I wanted to thank all of you who commented on my last post. Your kind words really helped me feel cared for during this time. Even though, I wasn't super close with my Grandpa, it still hurts. I have been able to find comfort in the family I have. My immediate family and I are very close. We confide in each other and care for each other. I couldn't be more grateful for them and all the support we share for each other. These past couple of weeks, I have been making almost all of my decorations for our reception, including my bouquet. I made it out of fake roses and hydrangeas, and I glued on pearls to the middle of the roses. All of my ideas for it are a combination of what I found online. 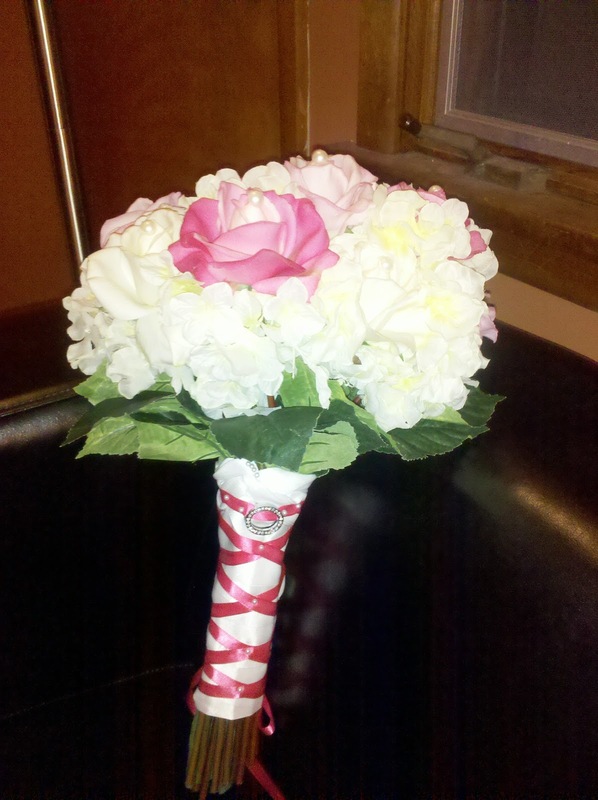 I love my bouquet. What do you think? Looks pretty. I like the addition of the pearls. :) Maybe I missed a post, but I'm confused what it's for. Are you having a local wedding reception for those who didn't attend your "destination wedding"?